Transfer Child Support: We are a mobile society, moving from house to house about once every seven years. Over time the needs and resources of families and children may change substantially and require an adjustment in the amount paid. Many divorced parents, custodial parents and non-custodial parents alike are stymied by the process necessary to modify or enforce a child support order across state lines. Every state has adopted the Uniform Interstate Family Support Act (UIFSA), so every child support modification case involving parties who live in different states is governed by UIFSA. 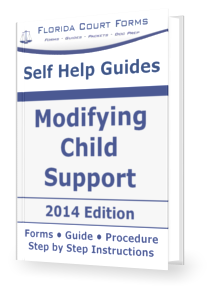 The first step when dealing with a child support modification is to determine where the parties are residing and which court issued the original child support order. If the parties live in different states or live in a state other than the state that issued the support order. The next step is to determine which state has subject matter jurisdiction to modify the order. Although states specify the grounds for when it is appropriate to modify a support order, the UIFSA specifies who has authority to modify a support order and where the modification should take place. In Florida, the grounds for modifying a child support order are substantial change in the child’s needs or substantial change in the obligor’s ability to pay. UIFSA has strict modification jurisdiction rules, and any order issued contrary to such rules will most likely be considered void for lack of subject matter jurisdiction. Under UIFSA, only a tribunal with continuing, exclusive jurisdiction (CEJ) has authority to modify or to transfer child support order. A tribunal, in this context may be an agency, hearing officer or family court. 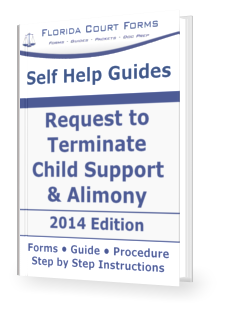 In Florida child support orders are modified through family courts; and enforced by the Florida Department of Revenue. A tribunal has continuing exclusive jurisdiction if it issued the support order and the child, the custodial parent, or the non-custodial parent reside in that state. The concept of continuing exclusive jurisdiction is the cornerstone of UIFSA's one-order system. As long as a state has continuing exclusive jurisdiction, no other state can modify the order. A tribunal loses continuing exclusive jurisdiction when all the relevant parties no longer live in the state which issued the original child support order. If there is no state with continuing exclusive jurisdiction and only one support order, the person seeking modification must register the support order in a state with personal jurisdiction over the other party. If both parties and the child have all moved from the issuing state and all reside in Florida, for example, then Florida has continuing exclusive jurisdiction to modify the support order. A petitioner seeking to modify or transfer child support from another state must use the Registration form from the Office of Management and Budget (OMB). These forms are available on their website at www.acf.hhs.gov/programs/cse/forms/OMB-0970-0085-T1.pdf, or use the search string online - Registration Statement form, Office of Management and Budget, OMB, UIFSA. The Florida Department of Revenue may assist in transferring out of state orders to Florida; however, knowing the correct steps and the reasons you should be allowed to transfer your child support order will help you reach your goals.